Known to be the biggest table tennis league competition in the world, the Chinese Super League is already set for this season. The first round is scheduled next week 15th October with the opener of the Men's Team event. The competition will be having 10 teams for each division and the winner will be declared before this year ends. Chinese World and Olympic champions like Ma Lin, Wang Liqin, Zhang Jike, Zhang Yining and Li Xiaoxia, among others were just few of the players who have participated in the Chinese Super League. Aside from these big names, top-notch foreign players have also graced this competition, making it the biggest league in the world of table tennis as of now. Timo Boll played in last year’s Chinese Super League for the Shandong Weiqiao Team. Their team reached the playoffs but finished fourth at the end of the season. This year, the 2016 Chinese Super League is scheduled to commence on 15th October. The competition is divided into two stages. The first stage will have the round robin competition where each team will battle against each of their opponents twice. The first stage will have a total of 18 rounds. The last round is scheduled on 25th December. The league will then proceed into the playoffs where the top four teams from the first stage will compete in a knock out system. The top two teams will automatically be placed in the first and second seeding. The highest team will choose their opponent between the third and fourth ranking teams. The team who will not be selected will fight against the second seed. The league will not have a battle for the third place. Automatically, the final standing of the losing teams in the semi-final round will be based from their first stage ranking. Last season, Fan Zhendong reigned in the individual ranking after finishing with just one loss and 35 wins. Such loss came from the veteran Zhang Chao. Ma Long was just in second place. 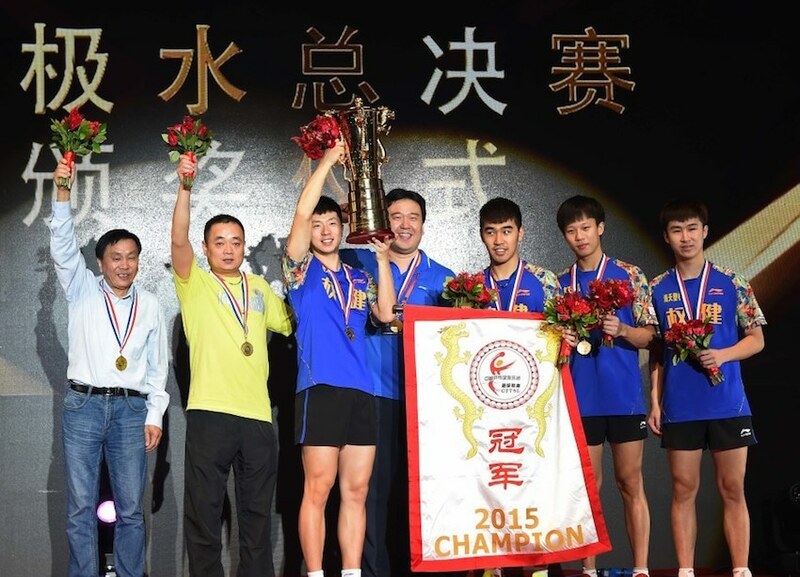 Bayi finished first in the initial stage but it was Ningbo who was crowned as the champion.